The Pier Hotel, Bath Road. 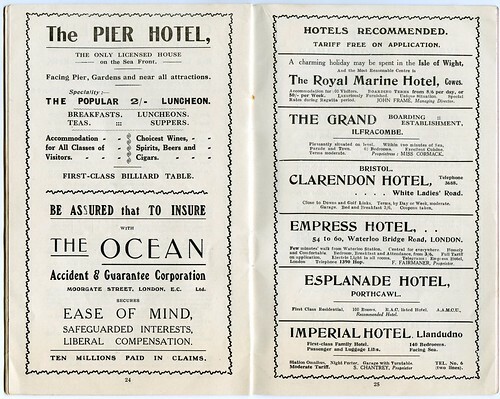 The Ocean Accident & Guarantee Corporation Ltd., Moorgate Street, London, E.C. Royal Marine Hotel Cowes, Isle of Wight. Clarendon Hotel, White Ladies' Road, London. 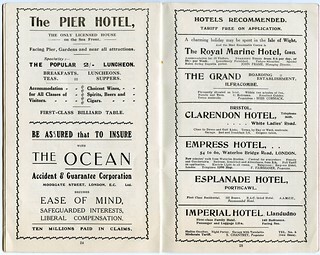 Empress Hotel, 54-60 Waterloo Bridge Road, London.